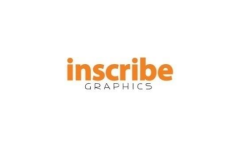 Inscribe Graphics IPO Overview - Inscribe Graphics is engaged in the business of graphics, animation, multimedia, web designing and incidental activities. The company caters to the overseas markets only. It started with offering services to clients in USA and later on expanded into countries like UK, Norway, Honk Kong, Australia, Canada, Singapore and Bangladesh. Artwork and Digitising are its core areas of activities from inception. The company focuses on Promotional Products, Fashion Apparel, Retail, Professional Sports, Collegiate Licensing, Corporate, Uniforms, Licensed Team Sports, Sporting Goods, Graduation Products, Cheerleading, Printing, Manufacturing and Embroidery markets. The company started a branch in USA in March 2012 and the branch started procuring orders from the overseas clients (mostly from USA) and those orders were executed by the Head Office at Chennai, India. With the rolling out of Goods and Services Tax in India in July 2017, the company incorporated a Wholly Owned Subsidiary (WOS) in USA for operational and administrative reasons and also for achieving tax efficiency. During the current financial year 2017-18, the company forayed into the animation segment. It has started with 2D animation projects and would also be considering 3D animation projects soon. Inscribe Graphics IPO allotment status will be available on Cameo Corporate Services' website. Click on this link to get allotment status.